Note: The Landmarks Bike Tour has been postponed to Sunday, 9 April due to rain in the forecast. Spring is in full swing, which makes this the perfect time for the return of the Landmarks Bike Tour! Austin Bike Tours and Rentals partners with Landmarks again to provide docent-led bike tours of the collection. The two-hour, five-mile adventure will begin at Austin Bike Tours and Rentals at 3rd and Congress (map). 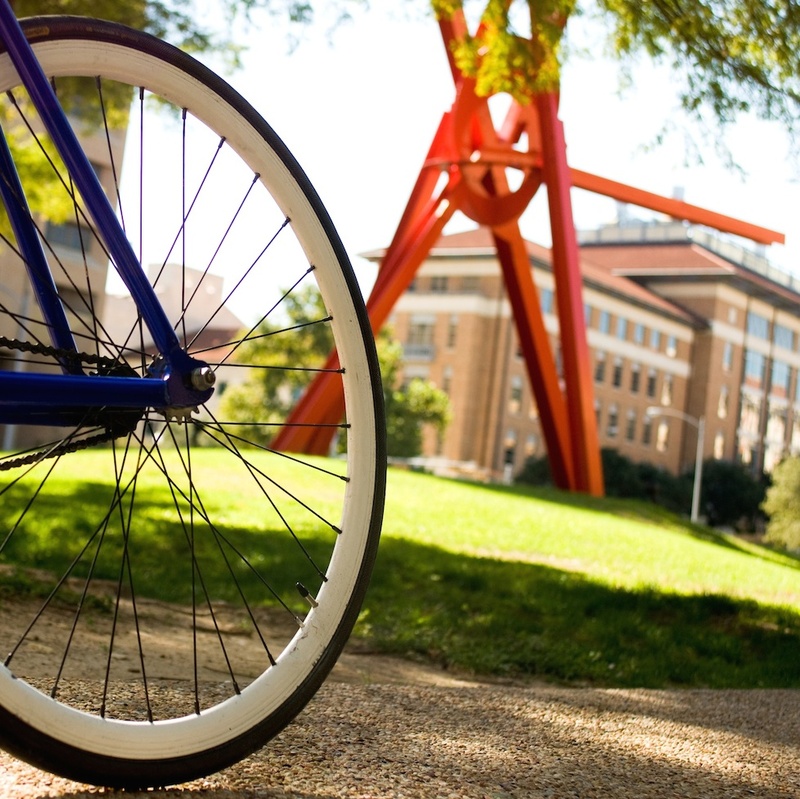 The group will bike to campus with a guide and a Landmarks Docent and explore public art at The University of Texas at Austin. When the tour concludes, the group will bike back to 3rd and Congress. This tour is a fun way to see campus, talk about art and enjoy the weather. The ride will be at a leisurely pace! Need a bike? Rent one with Austin Bike Tours and Rentals for $20. Have your own bike? Meet the group downtown and join the tour for free! Your Austin Bike Tours and Rentals guide ensures a safe route, keeps your bike tuned up, and works on tips! Space is limited! Reserve your spot by Saturday, 8 April on the Austin Bike Tours and Rentals website. You can also give them a call at 512.277.0609. Indicate in the subject line that this is for the “Landmarks Bike Tour,” and let them know whether or not you’ll need to rent a bike. For more information, contact landmarks@austin.utexas.edu.